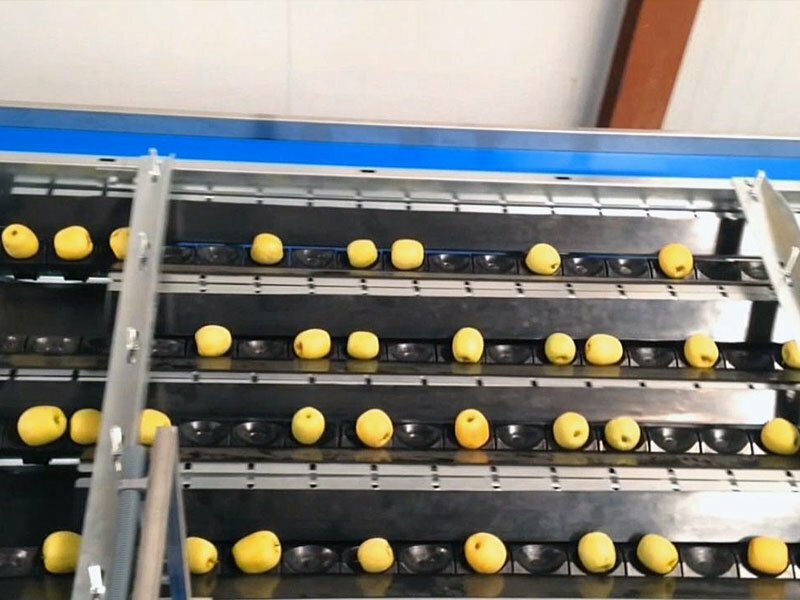 Fresh Fruit & Vegetables Grading Sorting Machine. 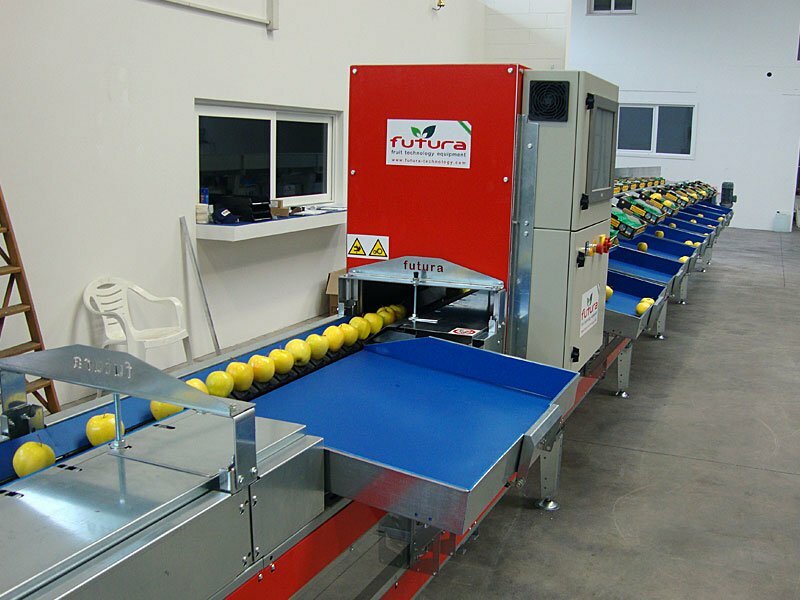 Futura grading lines are the perfect combination of experience and innovation! 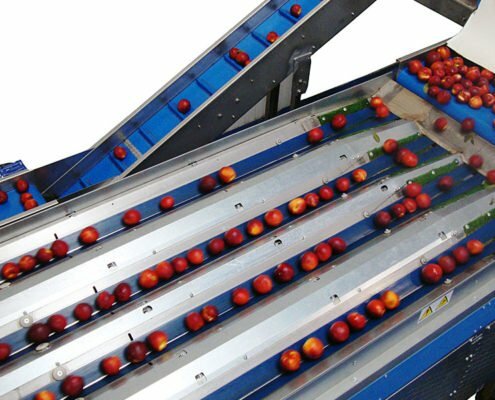 Futura provides grading and sorting lines tailored to our customers’ needs, which can be efficiently employed in every production environment: from the biggest to the smallest. 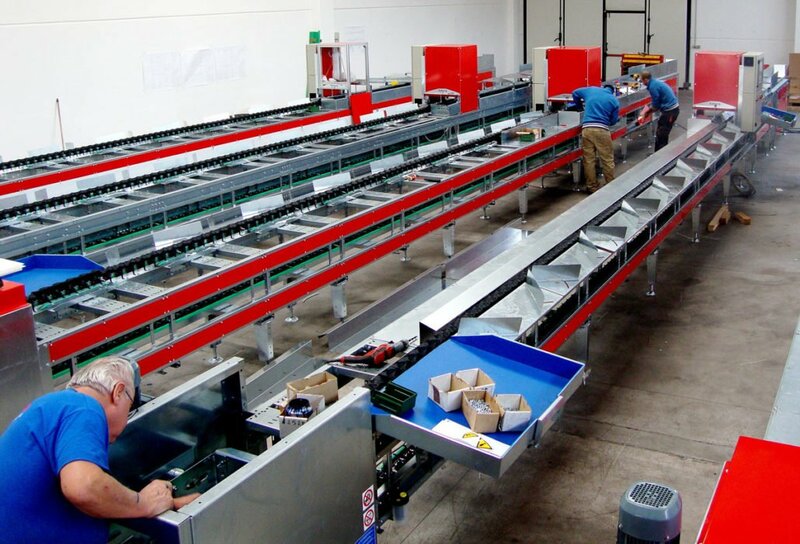 We employ a modular production system based on flexibility and high-quality materials. 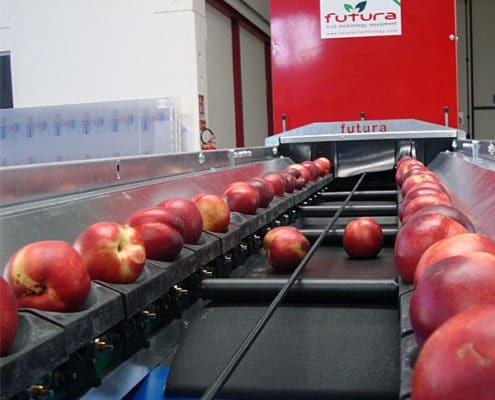 Indeed, Futura grading lines are composed of standard modules, which we assemble according to specific parameters such as the available room inside the client’s warehouse, the production rates and the type of fruit to be sorted. Our staff’s experience helps us understand our clients’ needs, while the desire of innovation encourages the study of new solutions in order to reach the highest precision and accuracy. You could say that we tailor a suit that fits perfectly, producing durable, highly-customized and completely Made in Italy installations. 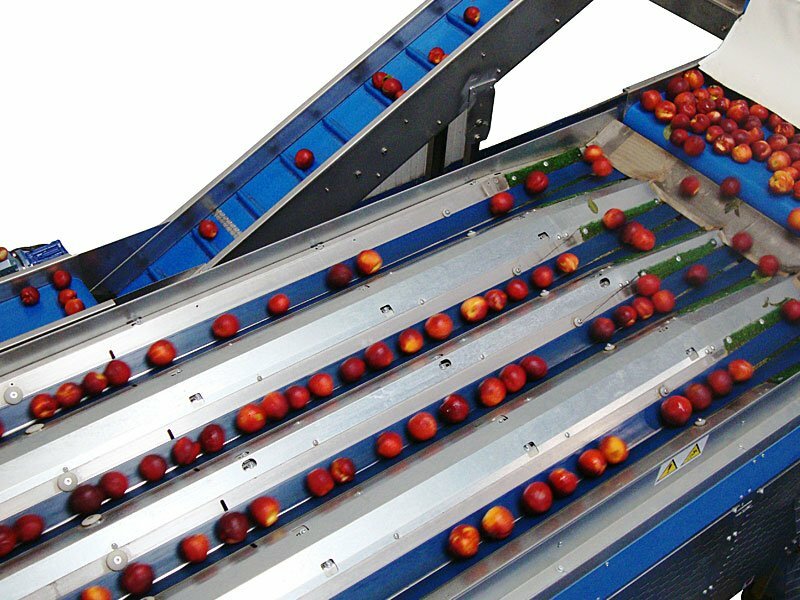 Do you need a tailored grading & sorting machine for your fruits? 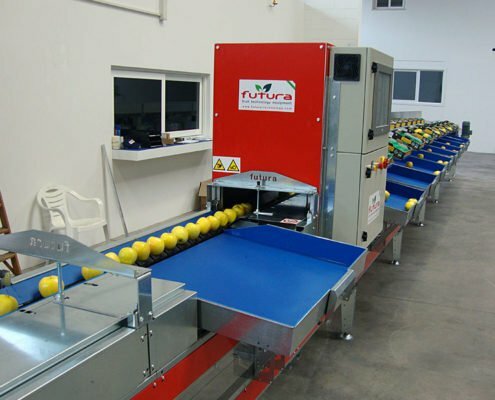 Our attention for the quality of the product, the high precision and flexibility of our machines make Futura grading lines efficient and reliable instruments for your business’ development. We design each project using 3D models. 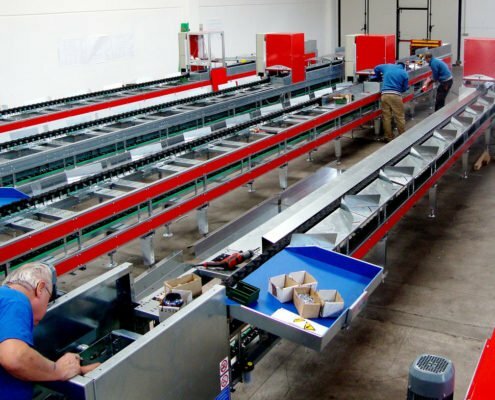 By using such models, we can immediately pinpoint and solve problems regarding the available room inside the warehouse, the fitting of the machine components and the potential combinations with other installations. 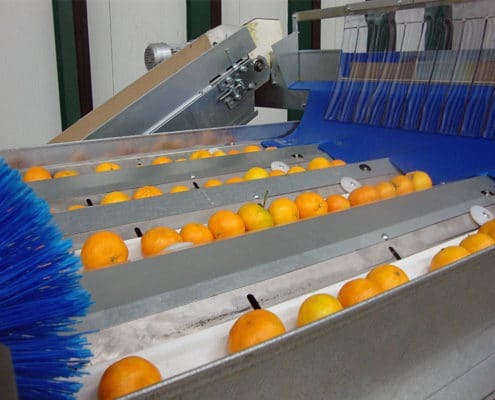 This way, we provide highly customized solutions and are able to meet our clients’ needs while keeping competitive prices and maintaining the quality of our products. Our grading and sorting system, Logika, offers two main options that can be customized to you needs! 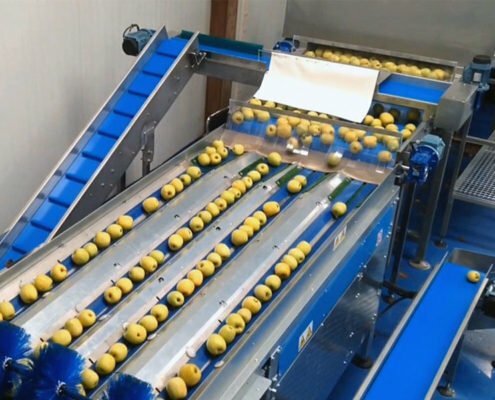 The two grading lines can be further customized not only according to the warehouse in which they are going to be installed and the production capacity of our customer, but also according to the type of fruit. 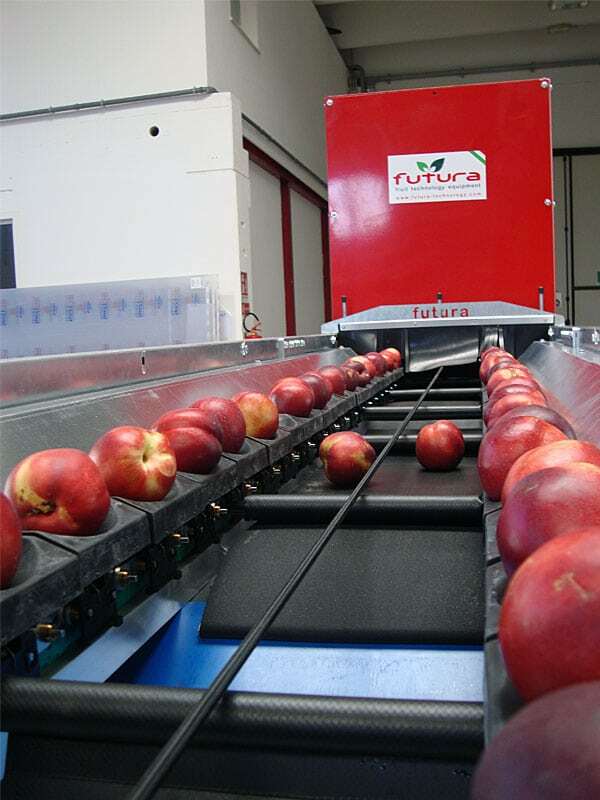 In fact, Futura has designed a series of trolleys in different shapes and dimensions, which can adjust to any fruit and vegetable and ensure a careful handling of your produce. 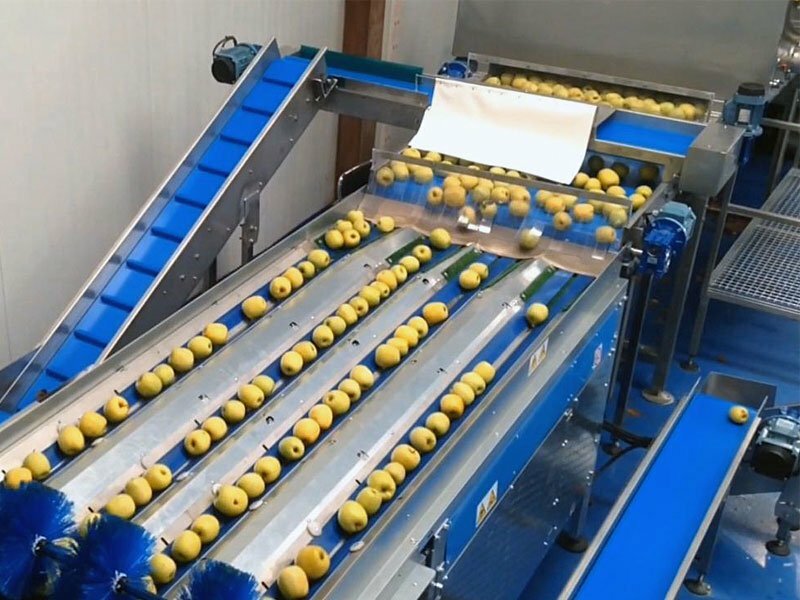 Ideal for medium-high production rates. 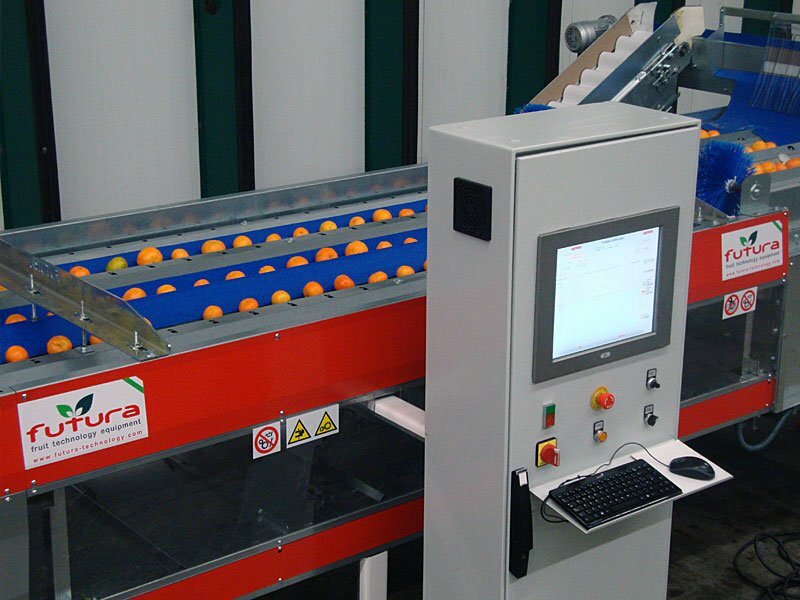 Perfect for flexible production needs and smaller working spaces. 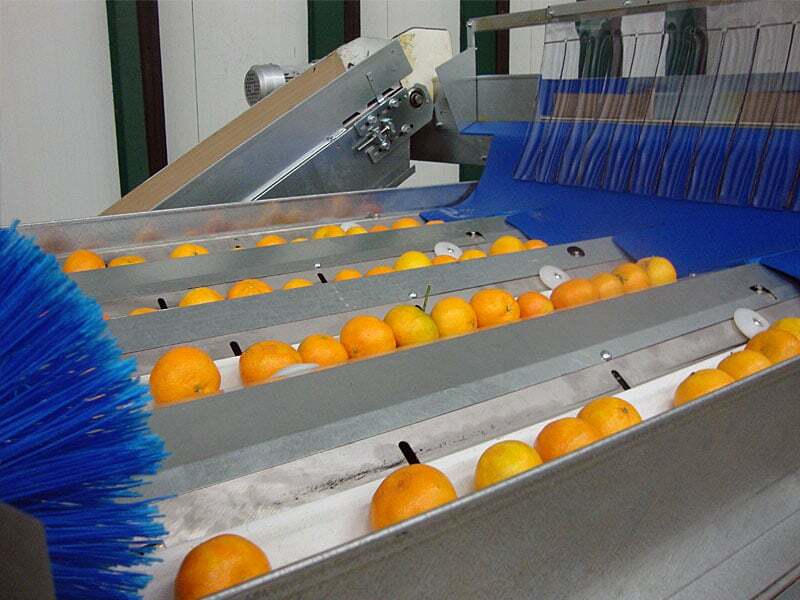 Fruit sorting is deeply tied to electronic technologies. 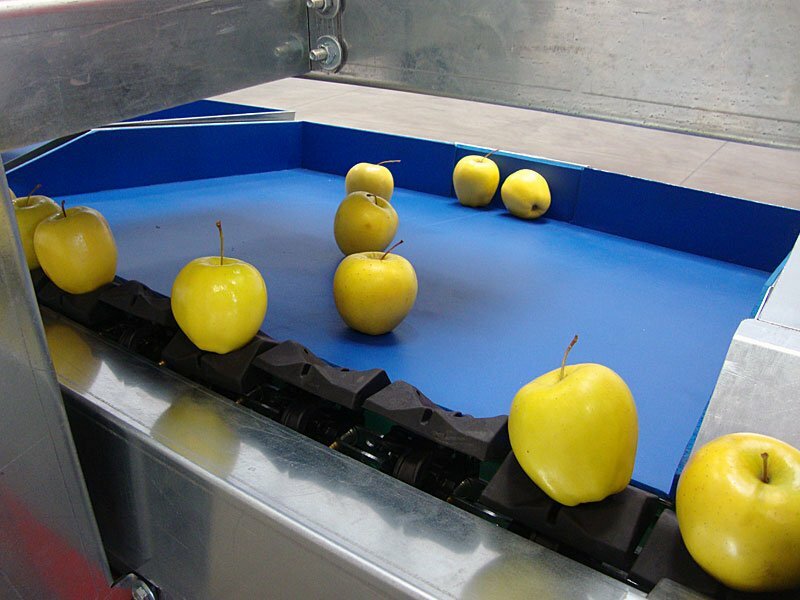 Our electronic grading systems can sort fruits according to weight, diameter and color, as well as a combination of the previous three parameters for a more specific grading. 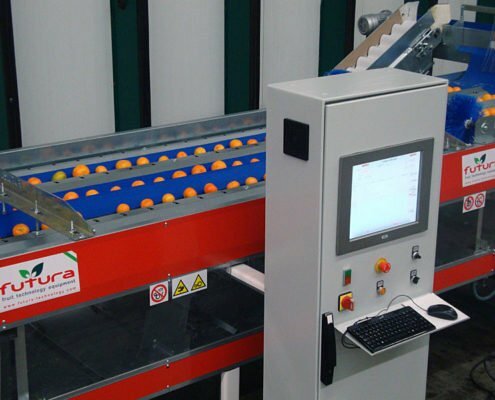 The efficiency of our machines is not our only concern: we believe that it is also fundamental for them to be user-friendly. In fact, our computers are characterized by a simple and intuitive graphic user interface and a touch screen. 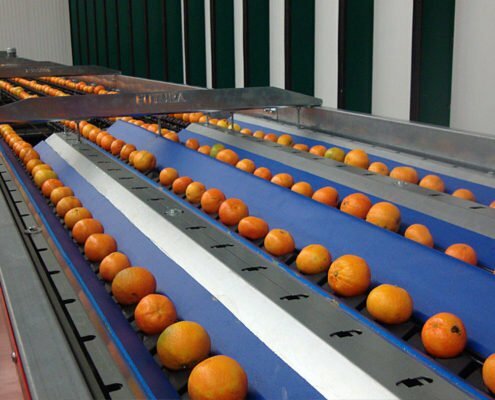 Amongst the many functions of our computers are product traceability, an XLM archive for the data of each grading, individual programs for each grading line and the possibility to change the grading parameters in real-time. 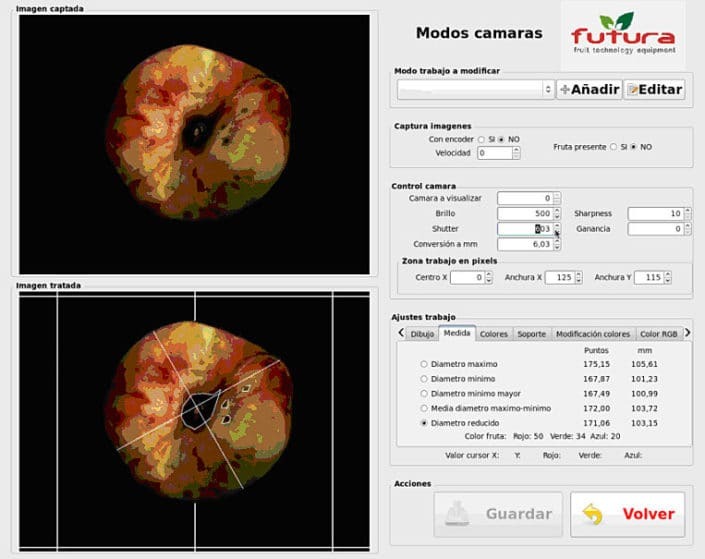 Finally, software upgrades are free: this ensures continuity in the quality of our products, without further costs. 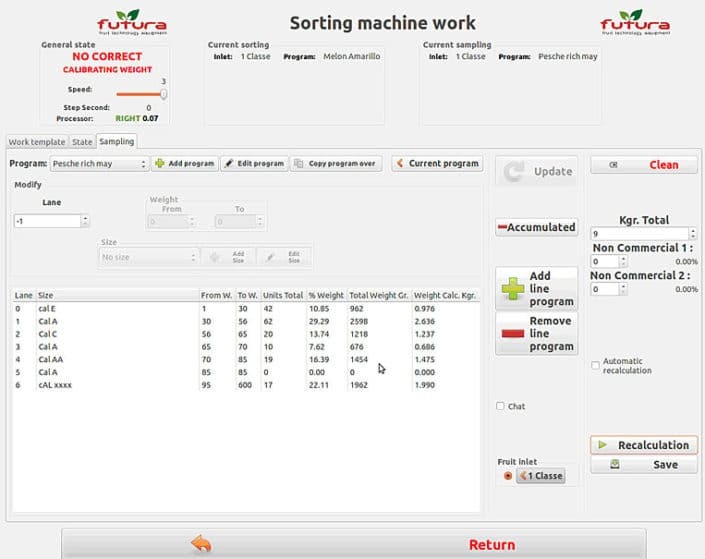 We also offer remote connection with Futura staff for support and assistance and direct connection to your machines through smartphone and tablet. 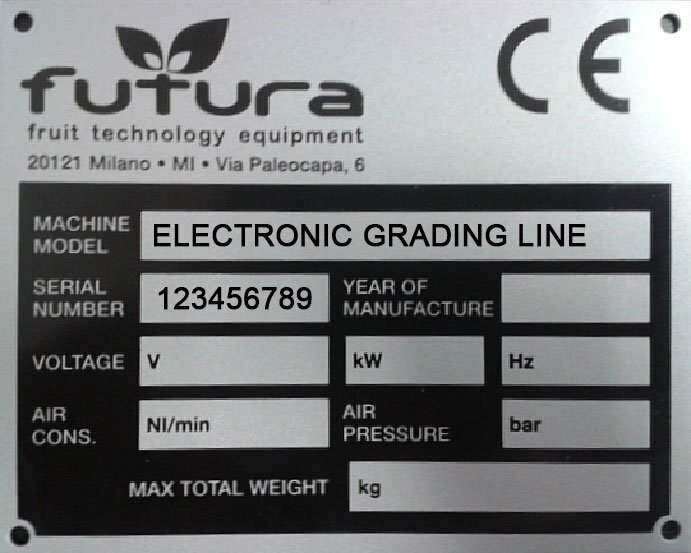 As you can see, Futura doesn’t end its relationship with its customers after the delivery of the grading system. 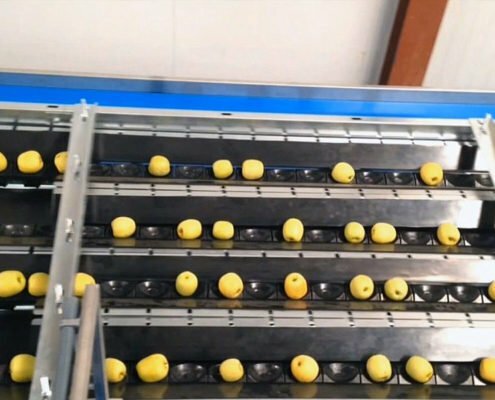 We deem it essential to guarantee a fast and efficient after-sales service to help our customers solve any problem that might arise while using our machines. 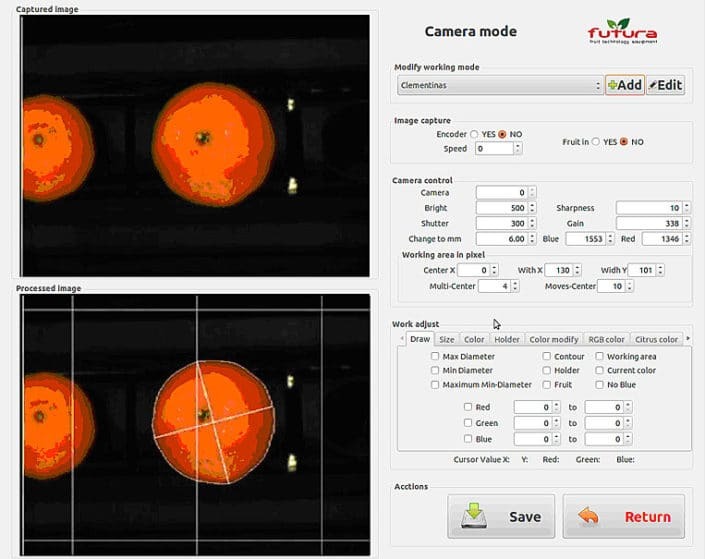 For this reason, we have developed a way to quickly and automatically trace each component of the purchased product. 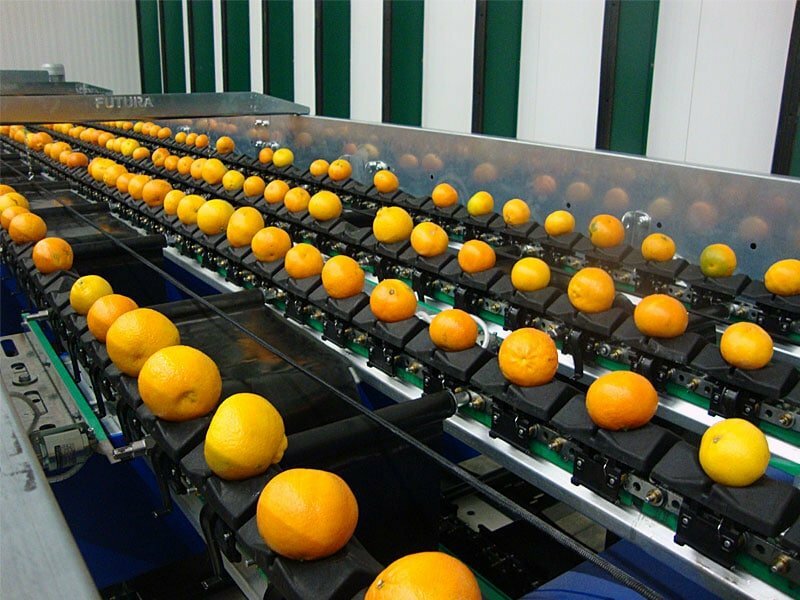 By entering the serial number of the machine in our database, it will be possible to have an overview of each component and each material employed. Therefore, it will be easy to find the source of the problem and proceed with its reparation or substitution. All this without a direct survey from our staff, saving both time and money.